is also an important sense organ and a primary partner for aromatherapy. 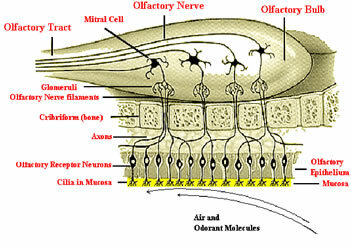 The following diagram shows the location of the primary olfactory region. where the scent is catalogued and identified. 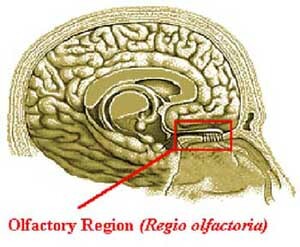 automatic processes and the thalamus (the brain's information relay system). 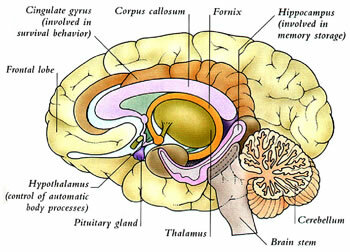 innervates areas of the cortex.